Update: 4/8/11 It has been brought to our attention our wording may have been misleading. I never meant to imply Duffy-shaped vinyl will replace Mickey-shaped vinyl. I know that is not what Disney meant, but my quick wording late last night of this article may have given that impression. I corrected the wording below and apologize to our readers and Disney for any confusion. 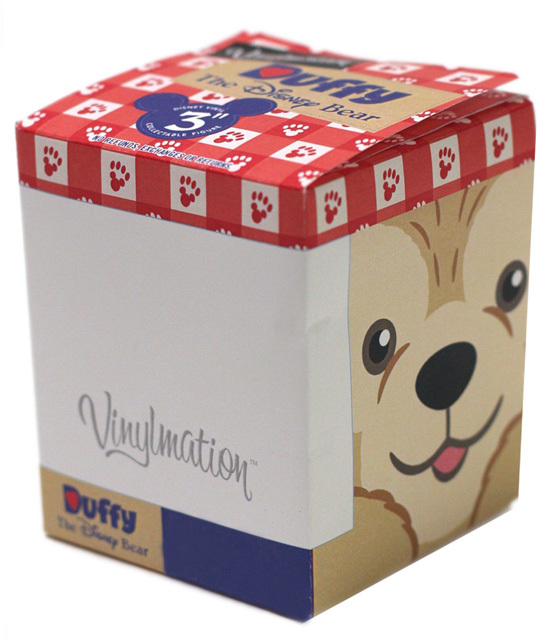 Mickey-shaped vinyl is here to stay, and Duffy is a welcome new addition to the line. Through a Steven Miller post on the Disney Parks Blog today, we got some more info on a future Duffy the Disney Bear Vinylmation series. 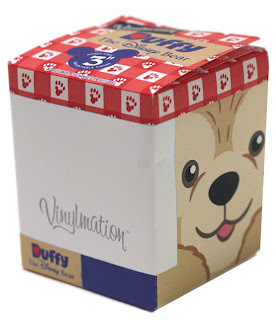 We learned at Trade City last August that Duffy will play a big role in Vinylmation down the road, including Vinylmation shaped like Duffy instead of to go along with the Mickey shaped Vinylmation we all know and love. Steven says the Duffy mold is being developed right now at Disney Merchandise headquarters using a new “rapid prototype machine.” It sounds like amazing new technology that will greatly enhance the finished Vinylmation product… and he leaves us hanging saying it’s “an amazing story for another time.” The technology is basically a “3D printer” if you’ve every heard of that. Using additive manufacturing they add material until they get a 3 dimensional representation from a computer design. It’s pretty crazy. Vinylmation Product Developer Donald Ferro says to look for Duffy in the Spring of 2012. What are your thoughts on Duffy Vinylmation? “I can not more strongly hate this idea. The whole thing about vinylmation was that the shape was Mickey Mouse. Mickey Mouse has such an iconic look to him. Even just his body shape is instantly identifiable. But Duffy is a bear. That’s not special.” – M.C. Thanks to Eric Caszatt, who wrote in and let us know that this process only includes the 3D aspect, and that it doesn’t add color. ok. so i’m not really aware of duffy beyond some references i’ve heard. but i think that the mold should stay mickey. sorry. i’m not sure i’ll want to get “duffy” vinylmations. one of the things i love is that it’s Mickey. I hope they keep all designs to Disney Jr. with his mold. for me, i can’t think that he’s the other most iconic disney character, since i never even heard of him until february of this year. maybe it’s a new generation thing. agreed on keeping these mickey. MAYBE the variants could be the duffy shape…. then i wouldn’t want them as much. I wish THIS was your April Fool’s joke. I have to agree and say that I am NOT a fan of duffy vinylmations. I think keeping it only mickey is the best way to go. If duffy vinylmations start to make an appearance then who’s to say that others wouldn’t be on the way. Goofy, Minnie, Donald it could never end. I say stay with Mickey. Remember it all started with a mouse! Duffy does not belong in EPCOT or anywhere on Disney property in my book. Disney has tried to make up a cute little story and shove him down our throats. Changing the Vinylmation mold is just another way to do it. Duffy replaced Figment and now they are essentially trying to replace Mickey. Not a fan of this at all. The only good Duffy is the one on Twitter that eats people. This Duffy just needs to be taken out. With fire. 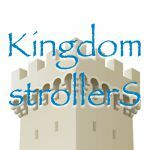 It’s a horrible idea and it doesn’t belong at Disney. Send it to Build A Bear where it’ll make sense. Seeing Duffy in EPCOT scares me and I want to throw a Big Baby vinyl at it in defense. eh. i still think that it should stay Disney Jr only. I have no problem with Duffy as a character. Its not like he’s hurting anybody. But this Duffy mold thing has me a bit wary. As long as the vinyl Mickey shape is still used, then I really don’t have a problem with it. So really, this is nothing to worry about. As I said before, I have no problem with Duffy as a character. He’s harmless and he’s not hurting anybody. i have no problem with Duffy..he just doesnt appeal to me at all and wont be buying anything with him….